Week 19: Southern Flowers bounce back with comprehensive 7-0 victory over Entertainers! Two games were on offer this week in the PSB Academy Sunday Premier League and with just a couple of week's till the end of the season, things were truly starting to get fired up at the top and bottom ends of the table! Unity Secondary hosted a truly mouth watering clash as Southern Flowers hosted Entertainers! Prior to kick off Southern Flowers sat 5th in the table, the last relegation spot and so they knew a win was a must to give them some breathing space. To make things more interesting Entertainers were directly above them on the table and a win would see the side from the South leapfrog their opponents! Right from kick off you could see that the Southern Flowers were on their game and the Entertainers just couldn't cope! It ended 7-0 to the hosts who climb up to 4th and out of the relegation zone with this comprehensive victory! Singapore G FC and Cub XI FC were due to meet each other but the visitors did not show up and so Singapore G FC walk away as 3-0 winners recording their 5th win in a row! They now move up to second in the table, an amazing feat considering they were in the relegation zone just a couple of week's ago. It goes to show how much things can change when a team regains their confidence! Full credit to the team! Week 18: Singapore G FC climb to third as they make it 4 wins on the trot against Southern Flowers FC! Two games were on offer this week in the PSB Academy Sunday Premier League and with things heating up especially at the top of the table, this round was going to be explosive to say the least! 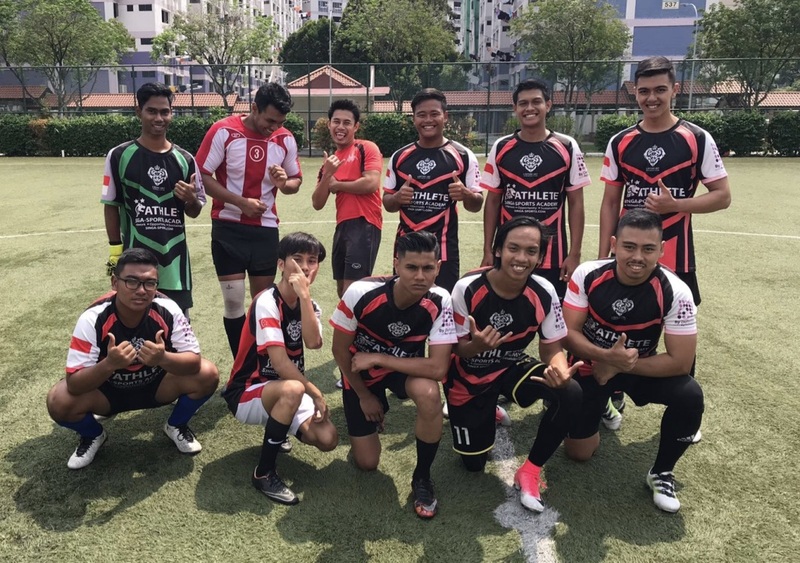 Ang Mo Kio Secondary hosted the first of the two clashes as Southern Flowers hoped to put an end to Singapore G FC and their run of 3 back to back to wins! Those victories have seen Singapore G FC move from relegation strugglers to potential title challengers in a matter of weeks. Southern Fowers FC (4th) sat a point above their visitors prior to kick off and knew they too would have to win to keep their faint title ambitions alive! 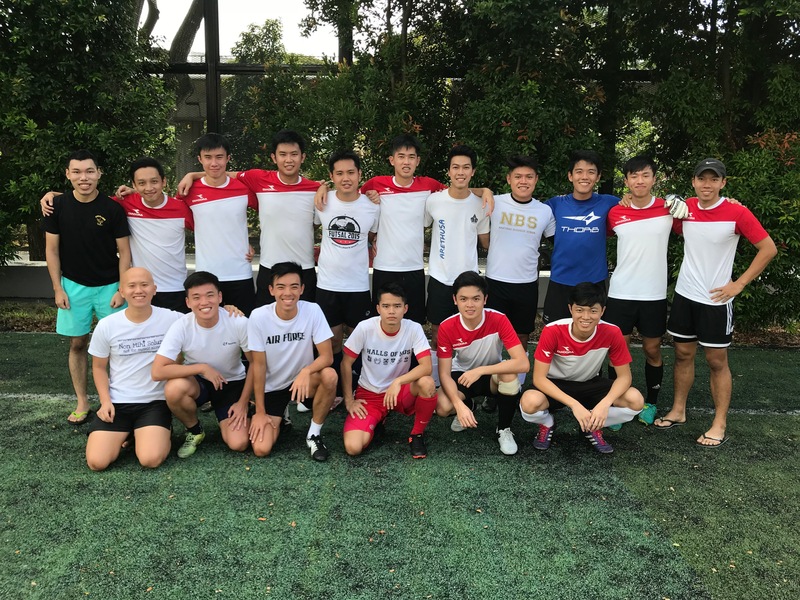 It didn't go according to plan however for the Southern Flowers as Singapore G FC continued their fine form in style, bagging a 3-0 victory which see's them leapfrog their opponents into 3rd place on the table! Forty4 FC and Cub XI FC were due to meet each other but the visitors did not show up and so Forty4 walk away as 3-0 winners. They now sit in second with 24 points just 6 behind table toppers ADI XI's FC! Cub XI FC remain rooted to the bottom of the table with just 7 points. Week 17: Singapore G FC make it 3 wins in a row, their victims this time are the Entertainers! Two games were on offer this week in the PSB Academy Sunday Premier League. 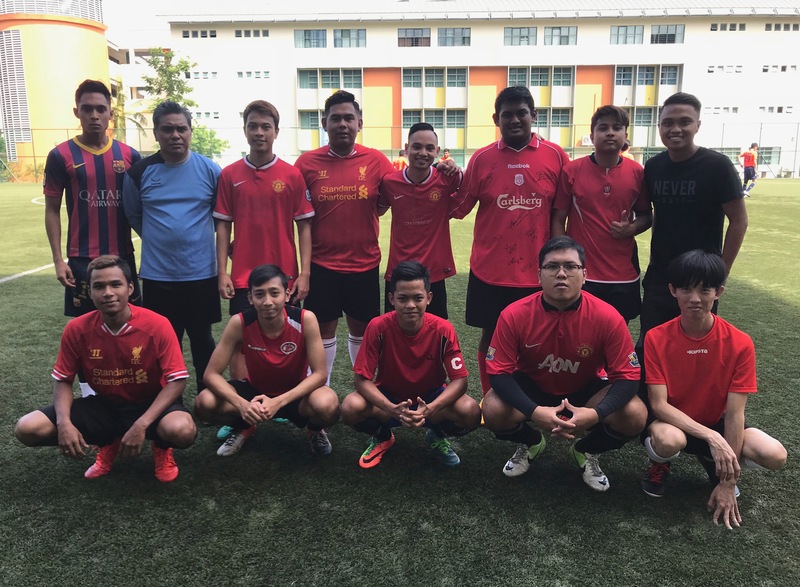 Bottom placed Lionheart hosted table toppers Adi XI's FC while Singapore G FC were looking carry on their fine run of form against the Entertainers! Anderson Secondary hosted the first of our two games. Lionheart are stuck in 6th place in the table and need to start turning around their results but it was always going to be tough for them against Adi XI's FC! The visitors were just too strong going forward and Lionheart just couldn't cope with Sollihin who netted 5 goals in a comprehensive 9-2 victory! The 3 points see Adi XI's FC move 9 points clear at the top of the table with 30 points, meanwhile Lionheart remain second from bottom on 8 points! Over at Unity Secondary, second placed Entertainers faced off against a Singapore G FC side on form! They were looking to make it 3 wins from 3 but one thing was for sure, Entertainers were not going to make it easy for them! In a match which saw both sides go all out for the 3 points, it was Singapore G FC who managed to get the better of their opponents this time around! They emerged 3-2 victors and have now closed the gap between them and second placed Entertainers to just 2 points! Week 16: Singapore G FC claim vital 3 points against Lionheart in relegation 6 pointer! There was only 1 match on offer this week in the PSB Academy Sunday Premier League, that tie saw Singapore G FC take on Lionheart with both sides looking to steer themselves clear off the drop! 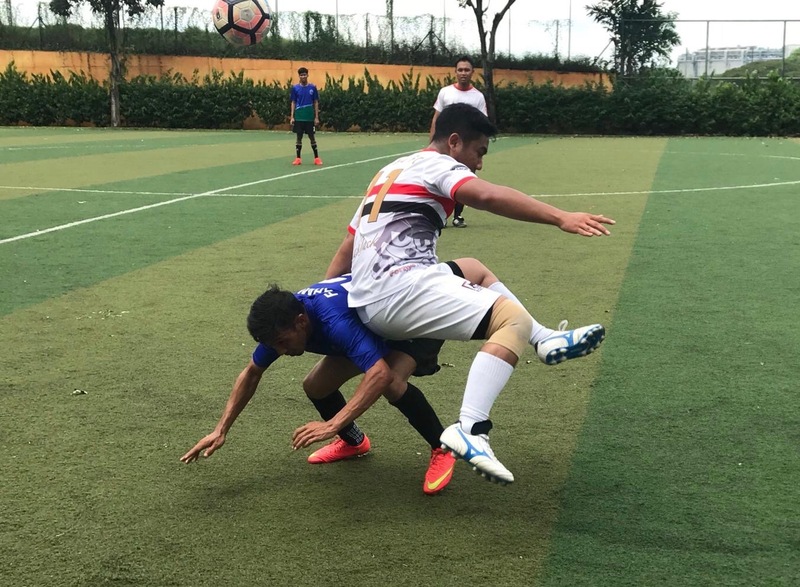 Ang Mo Kio Secondary was the venue for this bottom of the table clash, prior to kick off the two sides were separated by 5 points on the table! Singapore G FC were in 5th place with 13 points while Lionheart were in 6th with 8 points. Both teams put it all on the line and in the end Singapore G FC were just too strong for Lionheart on the day. They ended up 4-1 victors and move onto 16 points in the league, just 4 behind Southern Flowers in 4th! Week 15: Southern Flowers keep title dreams alive with win over Forty4 FC! Two matches were scheduled in the PSB Academy Sunday Premier League with matches pitting both relegation strugglers and title chasing opponents! The first tie of the day saw Forty4 FC host Southern Flowers over at Anderson Secondary! Forty4 FC knew they had to win to keep their title dreams going while Southern Flowers were hoping for the 3 points that would see them overtake their opponents on the table! With so much to play for, this was always going to be a cagey encounter with chances coming few and far between! It ended 1-0 to the visitors from the South, they move above Forty4 FC into 3rd and are now just 7 points off leaders Adi XI's FC! The second tie was due to be between the division's bottom two sides Lionheart and CubXI FC, however CubXI FC did not turn up for the tie and thus the 3 points were handed to Lionheart who see their points tally go up 8! CubXI Fc remain at the foot of the table on 4 points! Week 14: Forty4 FC bounce back from loss to climb up to 3rd! There was only 1 game played in the PSB Academy Sunday Premier League and it promised to be an absolute cracker as 2nd played 4th in Division 2! Entertainers FC faced Forty4 FC at Bedok View Secondary with both sides knowing 3 points were absolutely vital! Forty4 FC suffered a loss to Southern Flowers last week and were looking to get back to winning ways against very strong opposition. The match itself was a feisty affair as both sides went full throttle! Forty4 were composed in their attack going forward turning five of their chances into goals. Entertainers did manage to pull two back with efforts from Hafiz Aziz and Astley! Entertainers did show a lot of character but Forty4 FC proved too strong on the day and walked away as 5-2 winners! Week 13 of the PSB Academy Sunday Premier League saw 2 matches taking place over the weekend. In the first match, Southern Flowers hosted third place, Forty4 FC. This encounter had the makings of a classic! Southern Flowers FC quickly turned their dominance into goals. The home side were merciless in their attack and struck goal after goal after goal! Forty4 FC did manage to pull one back but it was far too later for a comeback. The referee finally ended Forty4 FC's misery with the final whistle as they suffered a trashing at the hands of a relentless Southern Flowers side 7 goals to 1. 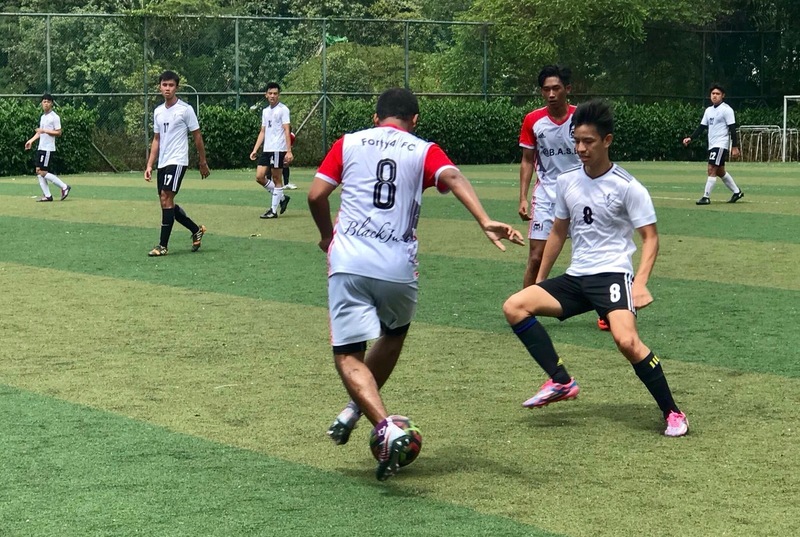 CubXI FC were looking to find their feet as they played host to fifth place, Singapore G FC this week at Marsling Secondary School. Both teams started fairly offensively. CubXI FC looked composed and determined to take the lead but Singapore G FC looked far more clinical on the day. as they surged past their opponents with four quick-fire goals. Despite having chances of their own, CubXI FC were not able recover as they fell to a 4-0 loss and remain rooted to the bottom of the table. Week 12: Cubs leave with tails between their legs after trashing by Entertainers! Week 12 of the X-League season saw 3 matches being played in Division 2 of the PSB Academy Sunday Premier League. 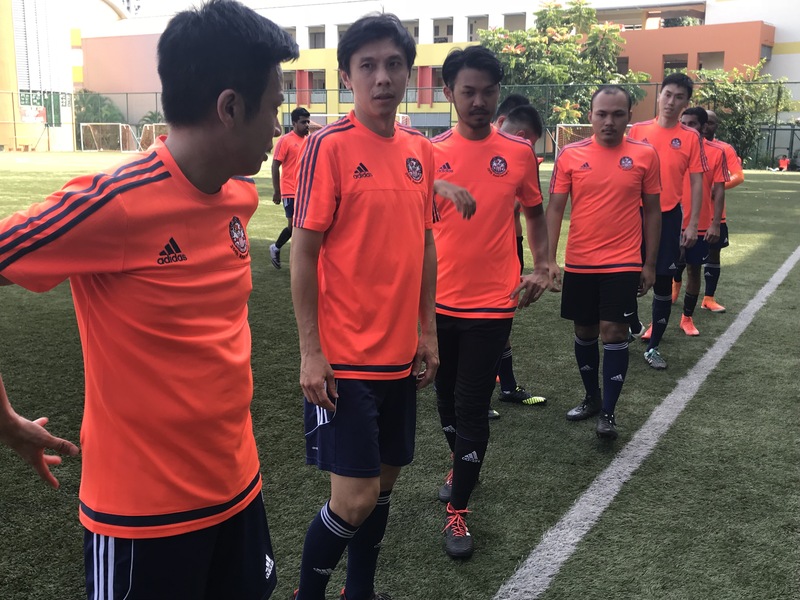 ADI XI's FC faced Southern Flowers FC at Marsiling Secondary School in the early kick-off. It's the first meeting of the season between both teams and they were eager to get the 3 points after not featuring in the league the previous weekend. ADI XI were more clinical in front of goal and they surged forward in the contest with 5 goals from hot shot Sollihin and another from Harvin. Despite managing to score 2 goals of their own, Southern Flowers were not able to salvage the match as they went down to a 6-2 defeat. The same venue provided the setting for Lionheart FC's match-up with Singapore G FC in the 1pm game. While Lionheart were not in action the previous weekend, Singapore G suffered a narrow defeat in Matchday 11. The two sides were evenly matched for the most parts of the game before Lionheart got the breakthrough in the game. They soon secured their second goal and looked to be on course to get all 3 points. However Singapore G rallied back and were rewarded when they scored 2 quick-fire goals to stun their opponents and claim a precious point as the match ended in a 2-2 draw. The final game was between Entertainers FC and CubXI FC. 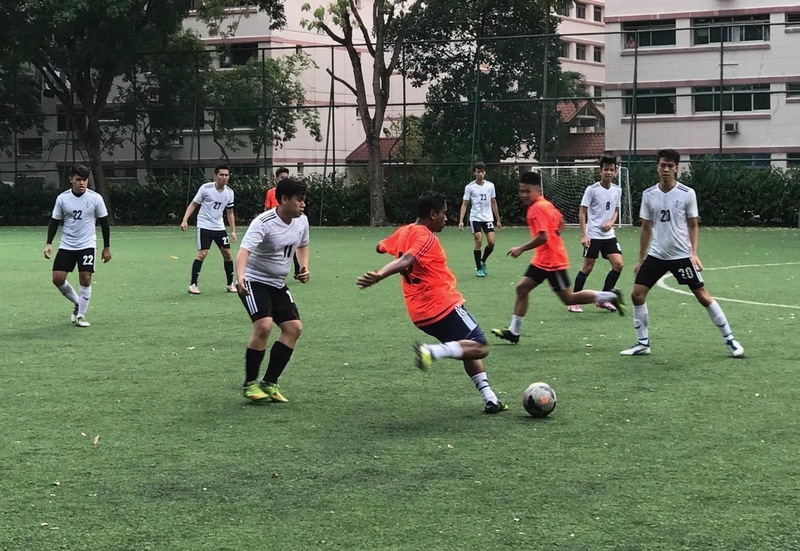 The match which took place at Ang Mo Kio Secondary School, started brightly with both teams taking turns to craft out opportunities on the opponents' goal. And it did not take long before the first goal of the game arrived. That opened the floodgates and soon it developed into a goal fest. Entertainers hit the back of the net with goals from Lim Janus (4), Joshua (4), S.Kumar, Senthil Jayram as well as a strike from their guest player. CubXI were only able to ney a consolation goal as they meekly went down to a 11-1 trashing. " We were good today as the boys carried out the game plan well" said the jubilant Entertainers FC team manager after the game. Week 11: Entertainers blitzed CubXI in Matchday 11 encounter! Normal service resumed in Week 2 of the PSB Academy Sunday Premier League as 2 matches were played over the weekend. Singapore G FC hosted Forty4 FC in the 11am game at Anderson Secondary School. Both sides faced each other in Week 4 and Singapore G took home the 3 points on that day. This match itself was an even contest as both sides traded barbs and had equal chances in front of goal. It was to be Forty4's day as they edged out Singapore G with a single goal to register a 5-4 win and pick up the precious 3 points. Over at Naval Base Secondary School, CubXI FC welcomed the challenge of Entertainers FC in the first meeting of the 2 sides this season. Having been in a rich vein of form, the visitors started the brighter of the 2 teams. Putting together several neat inter-play and creating the clinical goal-scoring chances, Entertainers were soon in the lead courtesy of Joshua's 10th minute strike. By the 30th minute he would have completed his hat-trick as CubXI found it hard to stop the Entertainers' attack. Yong Jie (3), Lim Janus (4), S.Prasath and another goal by Joshua in the closing moments of the game ensured Entertainers left Naval Base Secondary with a handsome 12-3 win over their hapless opponents. 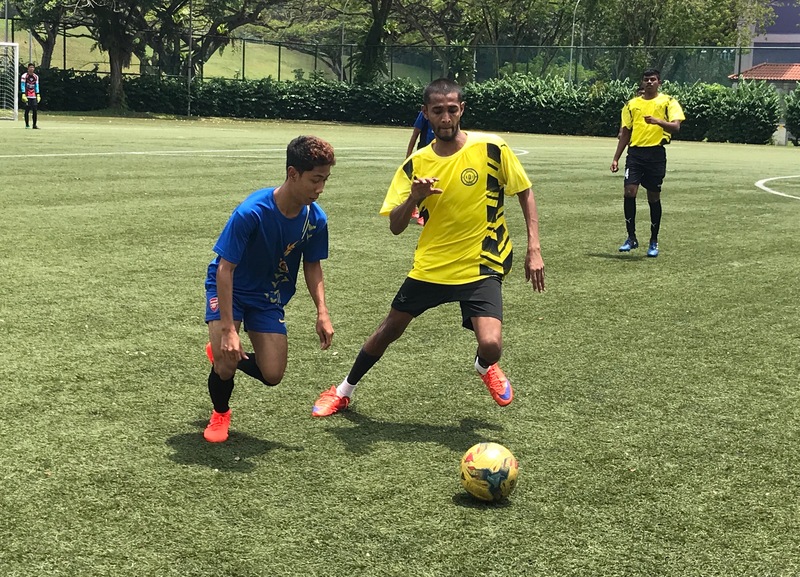 Week 10 of the PSB Academy Sunday Premier League Division 2 saw 3 matches taking place as the action rolls on in 2018. Forty4 FC faced Lionheart FC in a rematch of their Week 5 encounter. That encounter was easily won by Forty4 and they were confident of doing the double over their opponents. The match itself was a fiery affair as both sides went full throttle with their challenges and took issue with the officiating several times in the contest. Forty4 even had a player dismissed in the game and had to see out the game with a man less. They held onto their slender lead and managed to pick up the 3 points with a plucky 4-3 win over the unfortunate Lionheart team. Over at Anderson Secondary School, CubXI FC awaited the challenge of Southern Flowers as they looked to arrest an alarming string of results. Southern Flowers obviously forgot the memo as they went on the offensive right from the first whistle. Controlling most of the play in the opposition's half, Southern Flowers were relentless in their attack and struck goal after goal after goal. The referee finally ended CubXI's misery with the final whistle as they suffered a trashing at the hands of the ruthless Southern Flowers side by 14 goals to nil. The last match featured Entertainers FC and ADI XI's FC as they kicked off at Naval Base Secondary School at 3pm. Both clubs went into the game full of confidence after recording some high-scoring wins in the previous rounds. Sollihin was the star man for his side as he netted 5 times to push ADI XI in front in the game. Entertainers managed to claw 5 goals of their own thru Joshua (2), K Vikraman aka Viki, Ganesan S and S.Kumar but were again penned back by a double salvo from Ridzham Sailfudin. The match ended with a 7-5 scoreline victory for ADI XI's FC. "We were defensively poor" lamented a disappointed Entertainers' team manager after the game. Southern Flowers FC and Forty4 FC added to their points tally this week when both teams were awarded 3-0 Walk-over wins against their opponents. Week 8: ADI XI & Entertainers romp to victory! 2 matches kicked off in Division 2 of the PSB Academy Sunday Premier League. 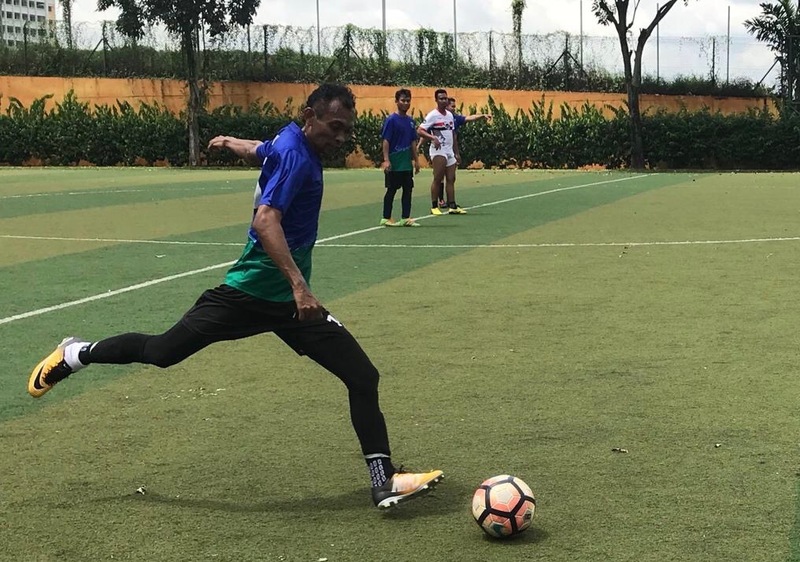 The first game was between ADI XI's FC and CubXI FC at Anderson Secondary School. With both sides not being involved in league action the previous weekend, both were raring to go from the very first whistle. And it was ADI XI that wasted no time in turning their dominance into goals. Aided by star man Aasaraf Ali Abdul Wahab, who netted a hat-trick in the game, ADI XI proceeded to score a lot of goals via efforts from Pradeep (4), Md Syafiq Ali (4), Kaviraj (3), Ridzham Saifuldin (2), Vimal Rajendran (2), Mohamed Ismail and Solihin. Having no answer to the attacking prowess of the ADI XI attack, CubXI FC succumbed to a humiliating 20 - 0 defeat. Over at Coral Secondary School, Forty4 FC took on Entertainers FC in the late kick-off. Forty4 were back in league action after a week's break while Entertainers were deserving winners in their game against Lionheart FC in Week 7. Joshua was the toast of his team as the Entertainers hit man struck 4 times to give his side a 4-0 lead going into the break. In the second half, Entertainers continued to dominate the play and they extended their advantage with goals from Ganesan S (2), S.Kumar (2) and Kartikgesan Manikam aka Kartik. Forty4 only managed the single goal in the game and it ended with Entertainers celebrating a second consecutive away victory in the league. Final score: Forty4 FC 1 - 9 Entertainers FC. Week 7: Away sides claim precious wins in Week 7! Week 7 of the PSB Academy Sunday Premier League Division 2 saw 2 matches taking place. The first game featured Singapore G FC taking on Southern Flowers FC at Anderson Secondary School. Both clubs were not in league action the previous weekend and were hoping to get back to winning ways in the league. It was tight affair between 2 willing combatants. Not letting the other have much possession of the ball, chances were few and far between. In the end, it proved to be a slim victory for Southern Flowers as they edged out Singapore G by the odd goal in 3. Final score: Singapore G FC 1 - 2 Southern Flowers FC. Lionheart FC faced Entertainers FC in the 3pm kick-off at Mayflower Secondary School. The hosts were confident going into the match off the back of a win over CubXI FC on Match day 6. Standing in their way was the ever entertaining Entertainers side that were looking to pick up their 2nd win of the season. S.Prasath was the star man for Entertainers as he tormented the Lionheart defence throughout the game and struck twice before assisting team-mates Joshua (2), Ramesh Eswaran and Ganesan S for their goals. Lionheart's fight back was too little too late as they only managed to score 3 goals and ended up on the wrong side of a 6-3 defeat. Week 6: ADI XI continue fine run while Lionheart bounce back to victory! 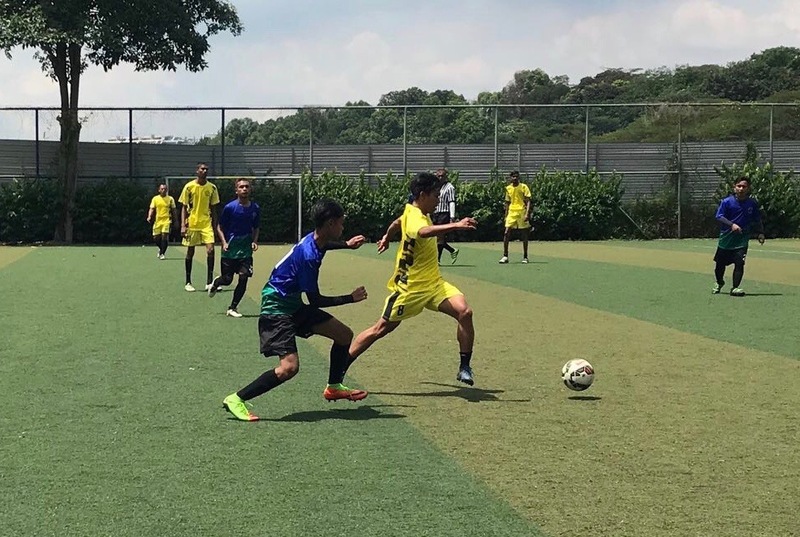 Marsiling Secondary School provided the setting for the 2 games played in Week 6 of the PSB Academy Sunday Premier League Division 2. Forty4 FC took on ADI XI's FC in the morning game as the hosts look to claim a second consecutive win in the league. 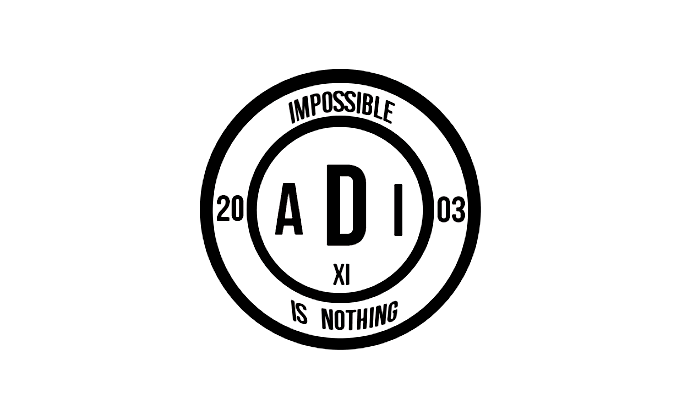 Standing in their way were early pace setters, ADI XI's FC who have yet to drop any points in the league thus far. It was an even contest as both sides had equal chances in front of goal and took turns to control the game. Siraj Munir and Rizal Ismail scored for ADI XI to cancel out the opener from Forty4 and win the game for their team by a score of 2 goals to 1. Following that game was a contest between CubXI FC and Lionheart FC. This match was the first for league newcomers CubXI who were looking to start their campaign on a positive note. Their opponents however had other ideas as they were hoping to bounce back after suffering a loss in Week 5. Lionheart created the more clear-cut chances and managed to find the back of the net several times in the contest. The game ended 3-1 in favor of Lionheart as CubXI start off their season on a losing note. Week 5: Forty4 bounce back to winning ways in Week 5! 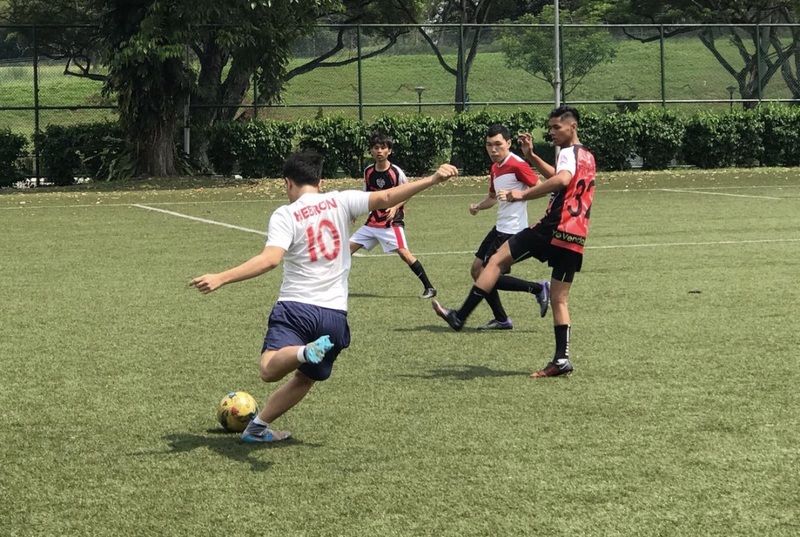 There was only a single match played in the PSB Academy Sunday Premier League Division 2 as Lionheart FC faced Forty4 FC. 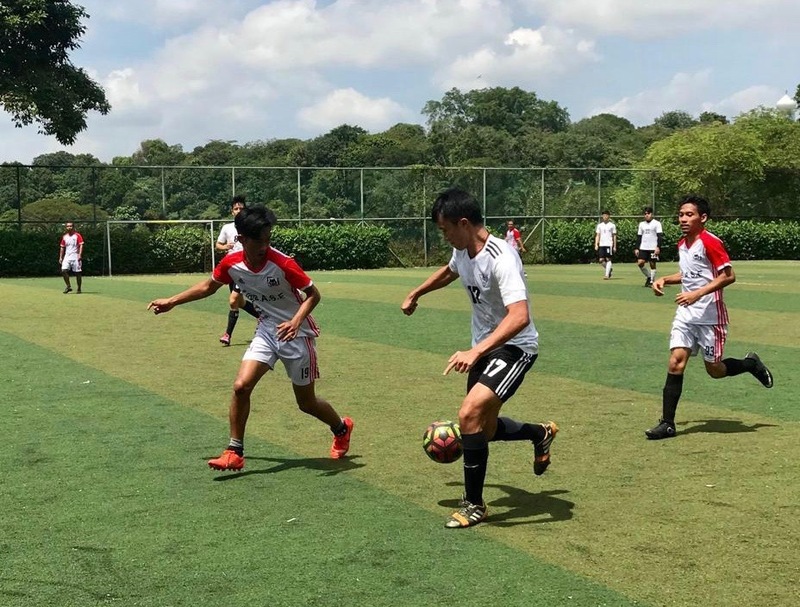 The match was played at Sembawang Secondary School and it featured 2 teams who are coming off the back of defeats the previous weekend. The game itself was an ill-tempered affair with some rough tackles flying in and robust challenges aplenty. In the end it was to be Forty4 FC's day as they outscored their hosts by 3 goals to 1 to pick up their first win of the league season. Week 4: ADI XI's and Entertainers romp to big victory on Matchday 4! It was a full fixture list in Week 4 of the PSB Academy Sunday Premier League Division 2 as 3 matches took place. 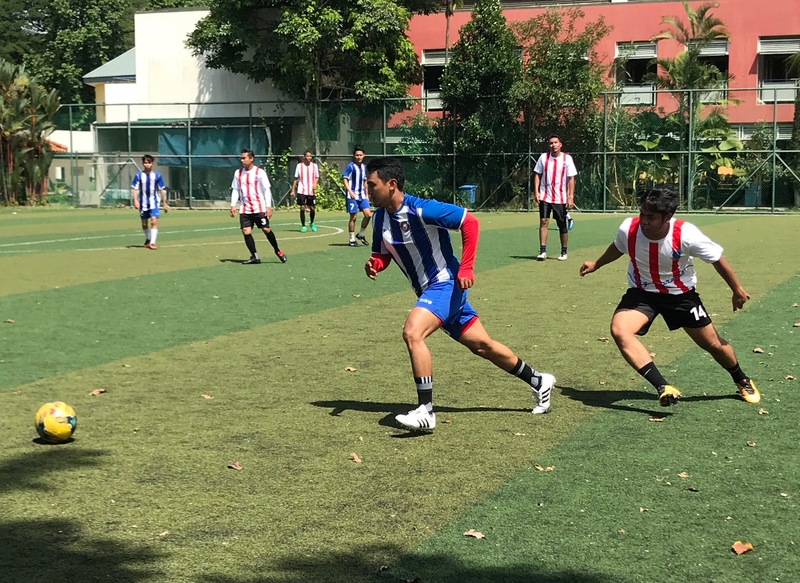 The first game saw early pace setters ADI XI's FC host Lionheart FC at Sembawang Secondary School. Having shipped 5 goals past Forty4 FC the previous week, the slick ADI XI's FC machine rolled on to bang 10 goals without reply against a hapless Lionheart FC who have yet to register a win in the new league season. 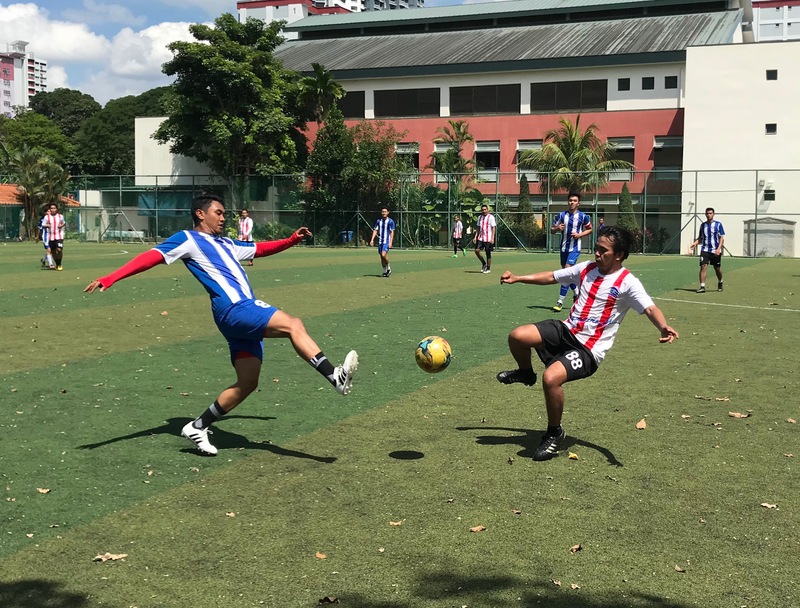 Over at Marsiling Secondary School, two sides in need of a positive result went head to head as Forty4 FC took on Singapore G FC. Both clubs went into the match with something to prove after suffering opening day defeats. It was Singapore G who got the edge in the contest as they struck thru efforts from Mahhadi 'Hady' Syed Mohd, Noor 'Exsan' Nizar and a guest player. 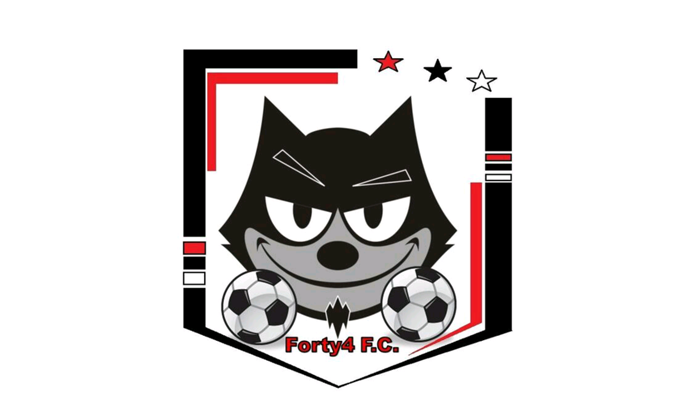 Forty4 only managed to claw back to 2 goals and were unable to overturn the scoreline as they went down to another league defeat by the odd goal in 5. The last match featured Entertainers FC, who were playing their first game of the season, against Southern Flowers who have so far amassed 2 points from 2 draws this season. The game proved to be a showcase for Entertainers' Ganesan S who put Southern Flowers to the sword by netting 4 goals and assisting strikes by Jowell Lim, Joshua and Ben Loke Keng How. Despite their valiant attempts, Southern Flowers only managed to score 4 goals of their own as the Entertainers begin their league campaign with a comprehensive 7-4 victory. Week 3: ADI XI's FC continue winning ways in Week 3! 2 matches took place in Week 3 of the PSB Academy Sunday Premier League Division 2. In the first match, Southern Flowers FC took on a newcomer to the league, CubXI FC at Marsiling Secondary School. Despite facing a much more experienced opponent, CubXI were not overawed by the occasion and gave a good account of themselves. Remy was the toast of CubXI as he struck twice to cancel out the 2 goals scored by Southern Flowers. It ended 2-2 with both sides having to share the points. Over at Sembawang Secondary School, ADI XI's FC hosted Forty4 FC as they look to extend their winning run in the league campaign. The hosts were fully dominant in the match as they hardly gave their opponents a sniff of their goal. ADI XI scored 5 goals to Forty4's 1 and it ended with a convincing victory for the home side. Week 2: Goals galore in Matchday 2! 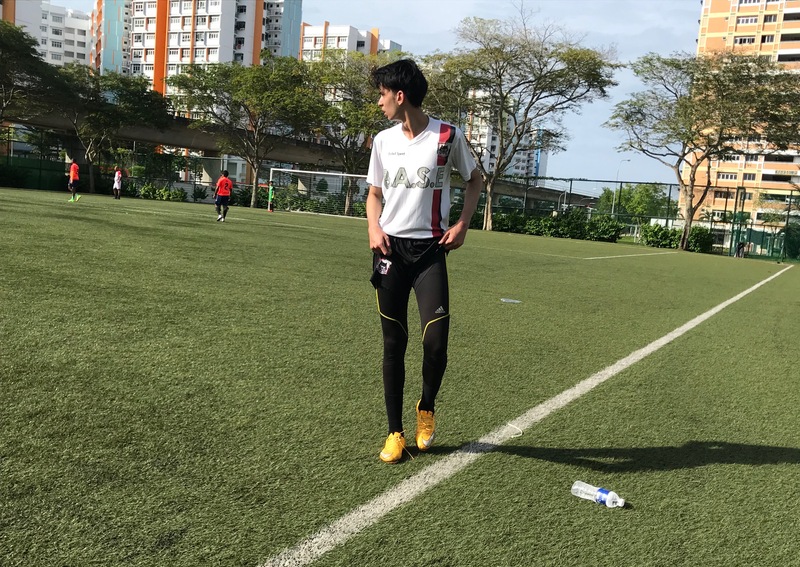 Week 2 of the PSB Academy Sunday Premier League Division 2 saw the return of Singapore G FC and ADI XI's FC to league action. Having faced off in several heated battles in the past season, both teams were aware of the threat the other posed. And the match started like a house on fire as both sides went on all-out attack mode and created several goal scoring opportunities. Leading the line for the home side was Zulkifli 'Pendek' Razali who netted 2 goals and created several other chances for his team mates. Not to be outdone, ADI XI fought back to narrow the deficit and took over the lead as they held on to claim a hard-fought victory with the odd goal in 13. Final score: Singapore G FC 6 -7 ADI XI's FC. Week 1: Stalemate between Southern Flowers and Lionheart FC in season opener! 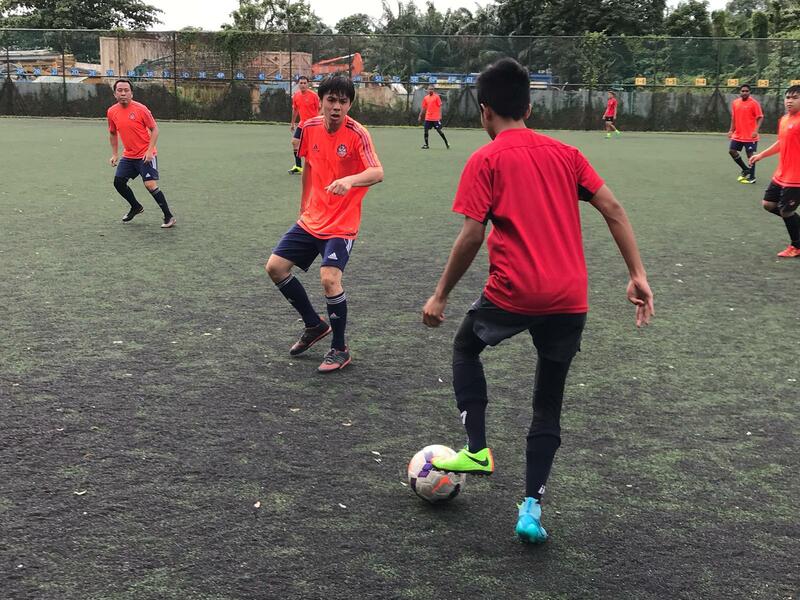 Season 10 of the PSB Academy Sunday Premier League Division 2 kicked off with a match up between 2 seasoned campaigners. Southern Flowers FC hosted Lionheart FC at Anderson Secondary School in the early morning game. The match was a slow burner as expected as most of the players tried to get up to speed with the pace of the game. With both sides having equal opportunities in front of goal, the match ended with a scoreline of 2-2 as the points were shared in the first game of the season.